Apptha's Feedback pop-up is a Magento extension that allows users to fill in their feedbacks by simply clicking on a pop-up element displayed in an online store. This pop-up menu, which on clicking will display a feedback form to let the customers fill in their feedbacks. The form enfolds text boxes for first name, last name, phone number, email, hear about and details. This Feedback pop-up extension offers display options in static, notification and form views. It comes in an intuitive design and supports multi stores and multiple languages. Displaying ads on a pop-up can greatly help the site with promotions. 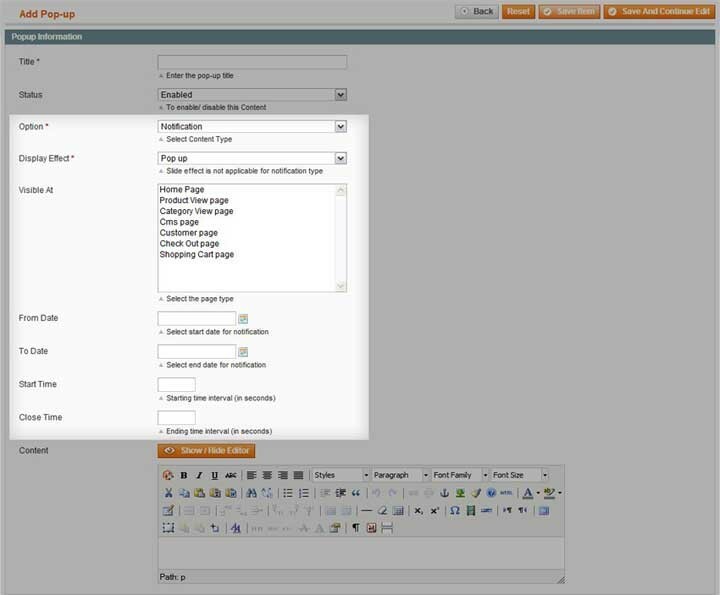 The Feedback magento extension allows you (admin) to add multiple feedback pop ups in a single store. 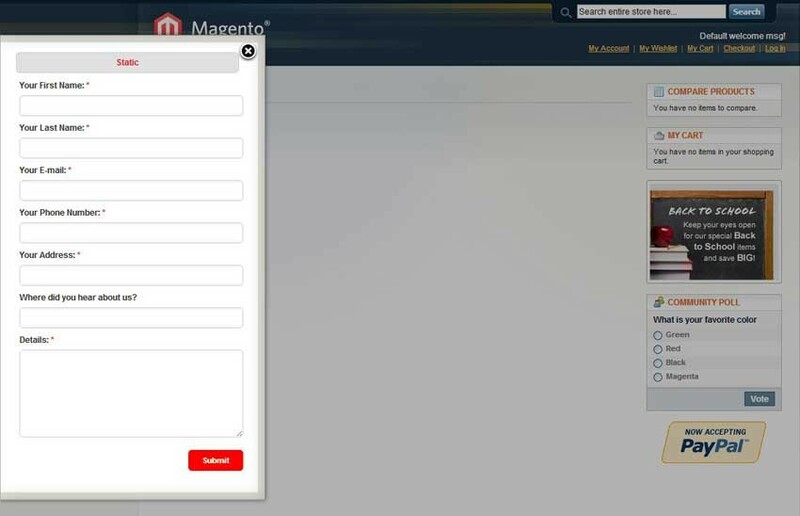 With this multiple pop-up feature, the customers will face a neat and an easy form filling experience. All basic default templates are supported by this plugin. Another best thing with this feedback pop up is, the popup can be displayed on any page of the store. Admin has options to select among the two display options: Slide and Pop-up. Under the notification option, admin can select the date, time and pages where the notification needs to be displayed. 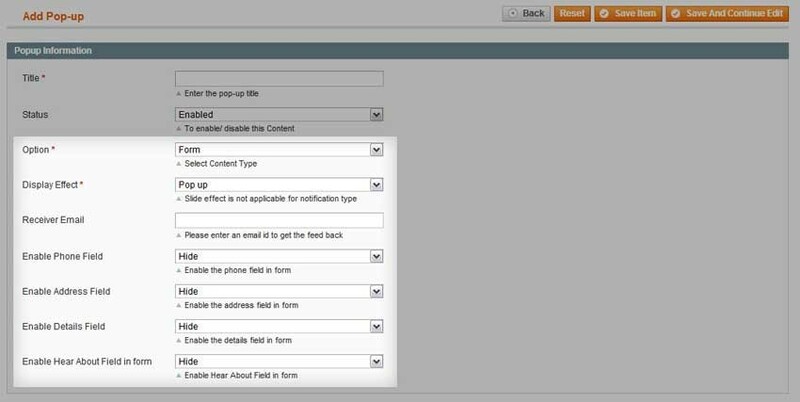 Under the form option admin can enter the form details and has control over each option. 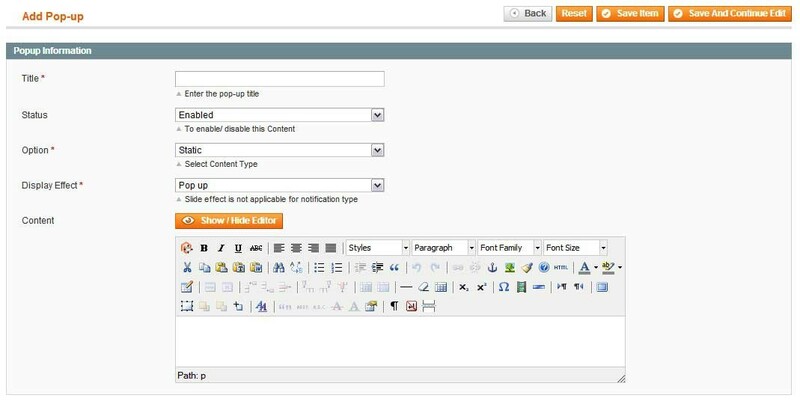 Feedback pop up is a Magento extension that allows you to display one or more pop up elements on your online store, which when clicked displays a feedback form to let your customers fill in. It is compatible with Magento 1.5.x, 1.6.x and 1.7.x. Do I have control over the module? Yes, you will have a separate configuration to enable/disable the module. Can I specify the position of my feedback module display ? Yes, you can do it. You have an option to set the position of the feedback module display either form the top or bottom. Can I create just a static content like notice? 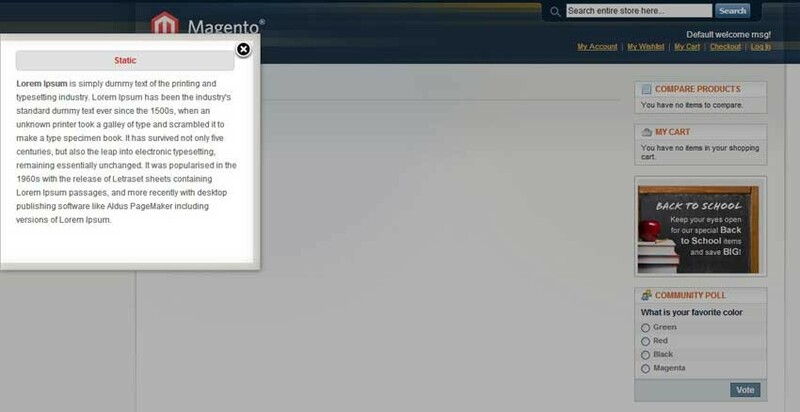 Yes, you can simply create a static content and get it displayed on your store. All you've to do is select the Static option in the admin panel. Do I have control over the complete feedback form content, like Phone number, Email., etc? Yes, it is up to you to enable / disable each text boxes. Can I set the display date and time for the notifications seen by the site users? Yes, you can set the date and time for each notification you are displaying on your site. Will I be able to design the content of the feedback pop up easily? 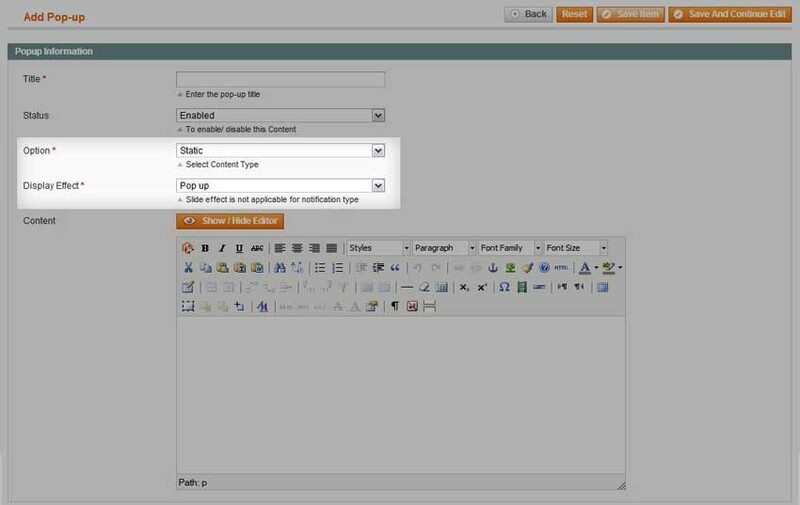 Yes, with an easily available default editor, you will be able to design the content of your site just like using magento editors. Yes, we have tested with all major/popular browser versions. This is really good promotions extension of magento !This product always is getting better and better! Changing these bulk options saves so much time and energy. The Popup plugin installation is a really easy, with a lot of features for customization. Also the same day customer support is excellent. Highly recommended!